Always upgrade your WordPress to the latest version released. Every update always contains bug fixes and improvements. Update all your plugins to the latest version released. The plugin updates also usually bring new bug fixes. Update the themes used in your blog. Often the update contains optimizations that may improve the performance too. Have you noticed how many of the plugins you really use? If you really like WordPress and have 30-40 plugins installed, try cleaning those that haven’t been used recently and keep them between 10 and 15. Try to clear the unnecessary plugins - look for a feature in a plugin that is already built in your WordPress version. This is not an easy task and requires a lot of research but it will pay off. Also note that you can disable some plugins and use them only when needed, for example you don’t need to activate the theme preview plugin if you are not going to change the current theme. Reduce PHP/MySQL database requests. 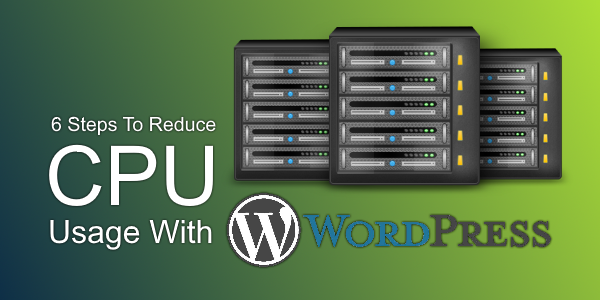 Usually the high CPU usage is caused by PHP processes and database requests. Try WP Super Cache for two or three weeks – sometimes it helps. Also, some plugins allow you to set an option to write a log or not (like spam comments caught, etc.). Disable the logs - this improves the performance significantly. Reduce the Widgets used. Widgets look great, but often cause high CPU usage, if they''re a lot. Try turning certain widgets off for a few days and monitor the CPU usage (the Live Stats > Load Stats section of your Web Hosting Control Panel). Get Started On Your 30-Day Free Trial With A Pre-installed WordPress!